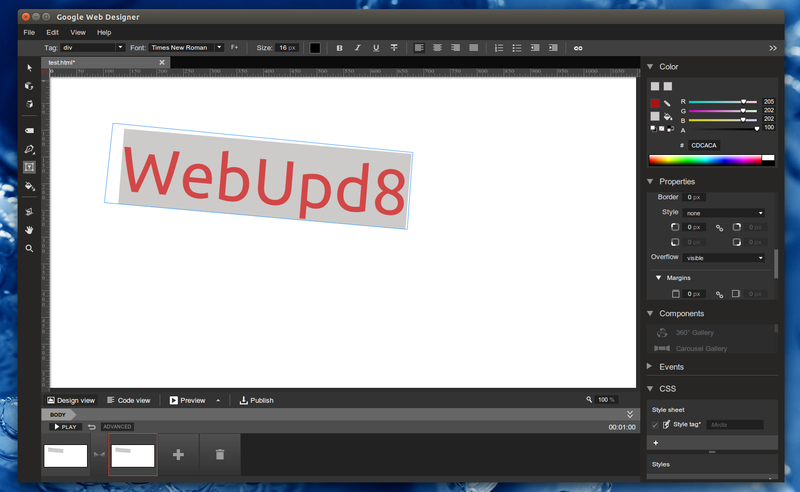 Google Web Designer, a tool developed by Google which is currently in beta, is finally available for Linux. The following Linux distributions are currently supported: Ubuntu, Debian, OpenSUSE and Fedora. The application comes with a repository so, like with the other Google products for Linux, you'll get automatic updates when new versions are available. Unfortunately, Google Web Designer doesn't integrate with Unity's global menu for now. Other than that, the application worked great in my test under Ubuntu 14.04. Arch Linux users can get Google Web Designer via AUR.